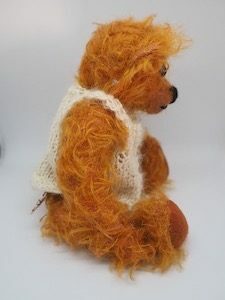 He is entirely hand-sewn in this fine mohair, and is a super little bear in a very traditional size with rounded bum and ‘hook’ on the back. 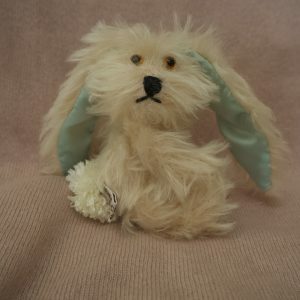 Just the right size to hold and and love whilst looking into his topaz English glass eyes. 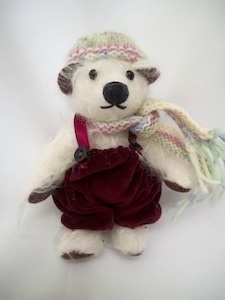 A lovely little bear! 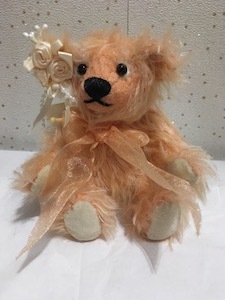 Miniature Bear Apricot – SOLD please contact me for a similar bear!